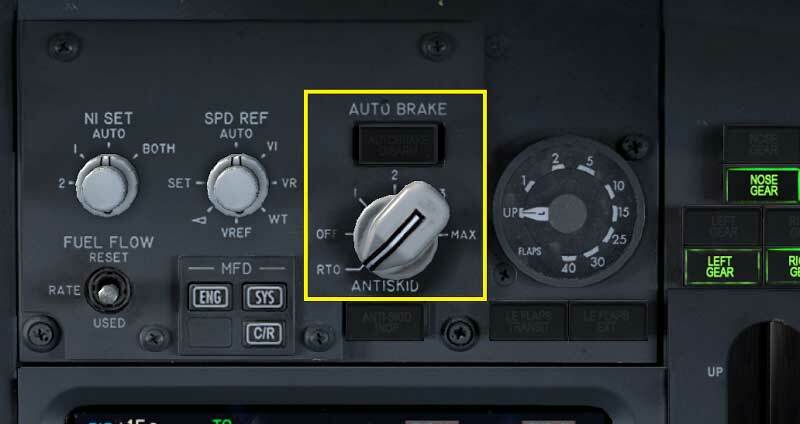 Why Do Pilots Set Autobrake To RTO Mode Before Take off ? 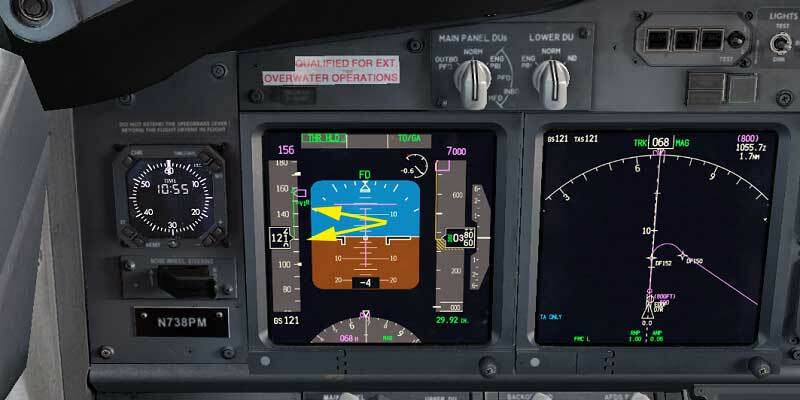 Before every takeoff, pilots set the AutoBrake to RTO mode, RTO stands for Rejected Take Off or aborted takeoff, which is the situation where the pilots decide to abort the takeoff due to a technical failure such as an engine failure. A rejected takeoff is performed only if the airplane's speed is below the takeoff decision speed known as V1, because over V1 the airplane may overshoot the runway, if the failure detected after the takeoff decision speed and the airplane still able to fly, the takeoff is continued and the pilots will attempt to land the airplane as soon as possible. When a failure occurred below V1, the pilot set the throttle to idle, and the autobrake system automatically apply maximum brakes to stop the airplane. 1. 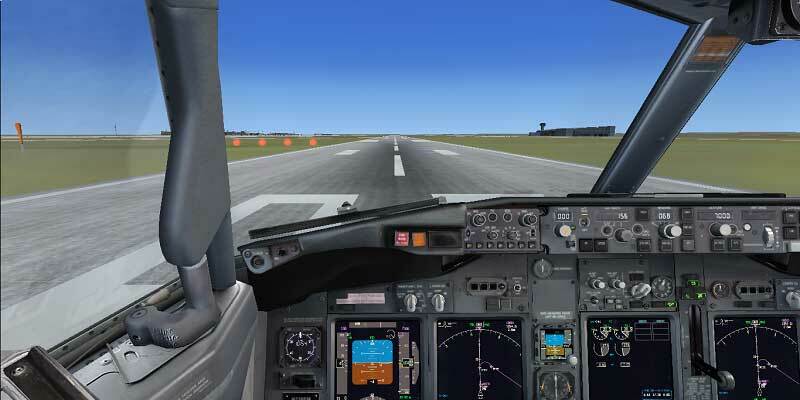 Line up with the runway for takeoff, make sure you set the autobrake to RTO position. 2. 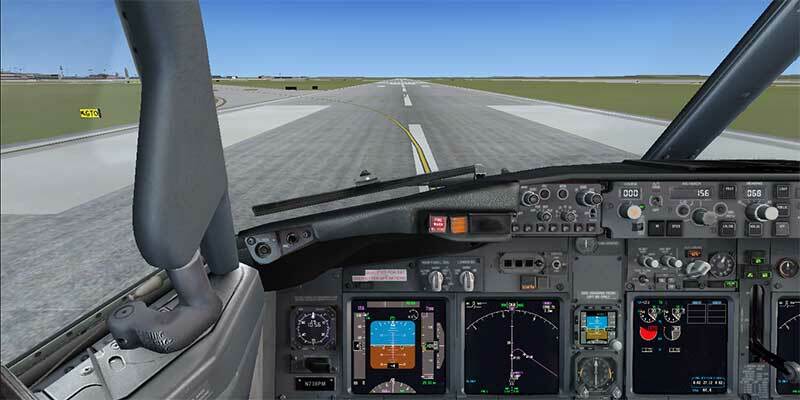 Apply takeoff thrust by advancing the thrust levers to just above idle (40% N1). 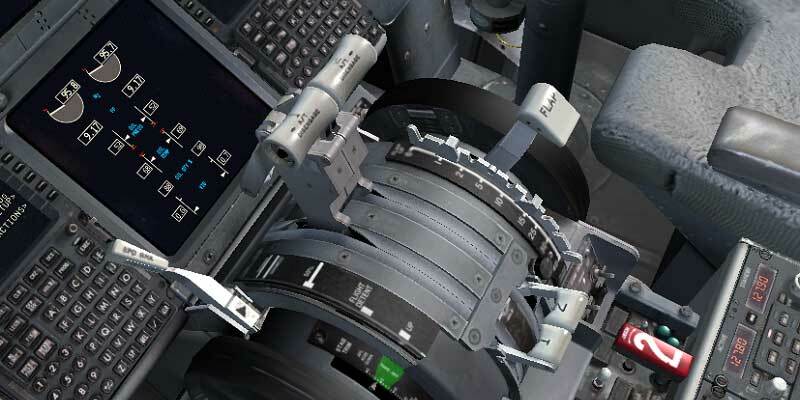 Allow the engines to stabilize momentarily then promptly advance the thrust levers to takeoff thrust. 3. Be ready for any technical failure before reaching V1 speed. 4. 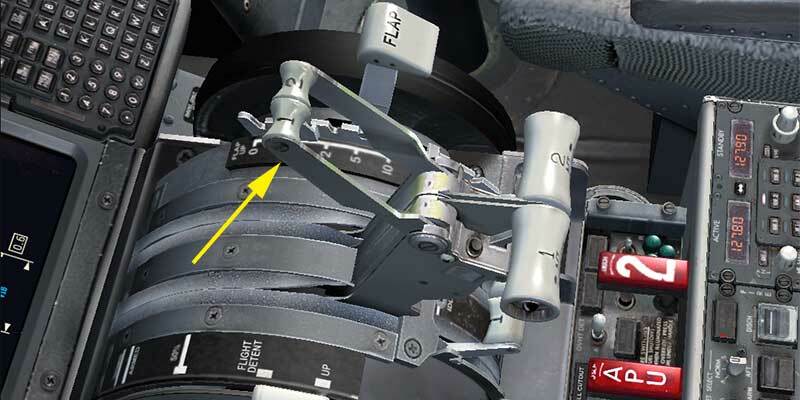 If an engine fire occurred which is the case here, simultaneously close the thrust levers (the autobrake system will automatically apply maximum brakes), disengage the autothrottles, and Raise SPEED BRAKE lever. 6. Apply maximum reverse thrust consistent with conditions. Continue maximum braking until the airplane will stop on the runway. 7. When the airplane is stopped, perform procedures as required. 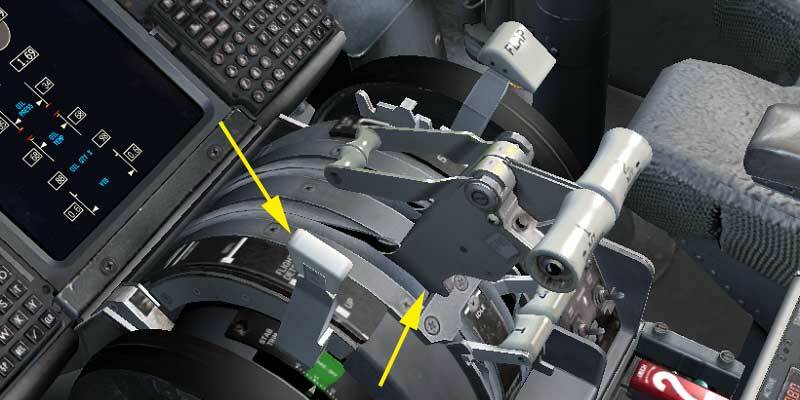 Why Does Boeing Use Balance Tabs On 737 ? How To Simulate Failures On PMDG For More Realistic Flying ? Learn To Fly © . All Rights Reserved.